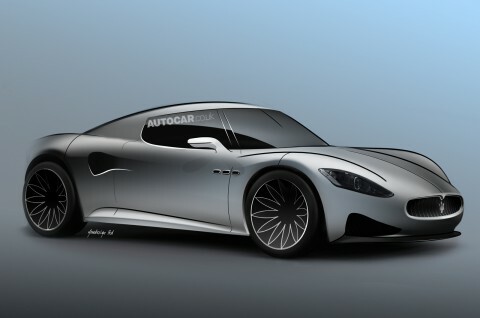 Maserati looks set to launch a mid-engined rival for the Porsche 911 by 2015. It will be offered with both V6 and V8 power and will get a chassis based on that of the forthcoming Alfa 4C. Although Maserati’s ‘4C’ has yet to be confirmed, company bosses have hinted that such a model is essential if it is to reach its future growth targets. “We are currently represented in just 21 per cent of the luxury sports car market,” Maserati boss Harald Wester told Autocar. “But by 2015 we will have 100 per cent representation.” That market coverage would not be possible without a Porsche 911 rival. The new mid-engined Maserati will play a crucial role in the company’s intended plans to sell 50,000 cars a year worldwide by 2015, up from the 6159 cars it delivered last year. Maserati aims to achieve this through the new Quattroporte, a new BMW 5-series rival called Ghibli, the new Levante SUV and the still-to-be confirmed 911 rival. Speculation about the name of the new mid-engined Maserati suggests it might be known simply as the GranSport. Whatever it is called, power will come in the form of either a twin-turbo V6 or a twin-turbo V8, with approximately 450bhp and 550bhp on offer. The target kerb weight is said to be less than 1400kg, and although the V6 model is destined to have rear-wheel drive, there’s a possibility of the V8 being offered with the option of four-wheel drive, just as the Quattroporte is in certain markets.